Every time card or badge needs a home. 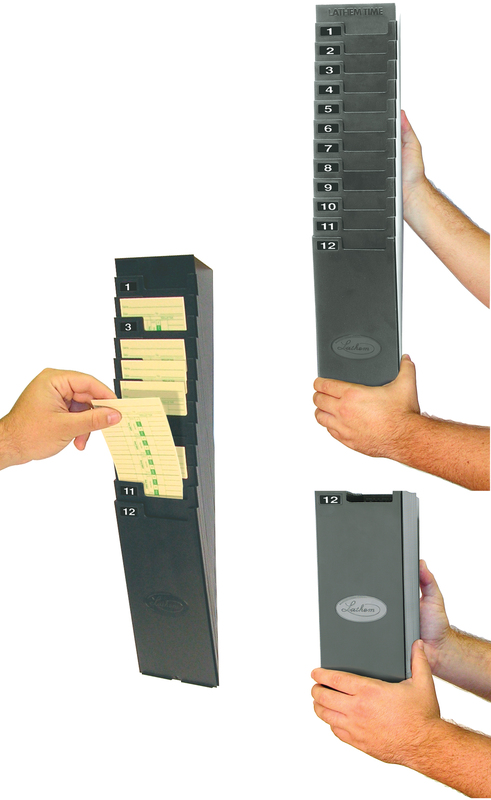 By placing one on each side of your time recorder (labeled IN and OUT) you create an organized time keeping process and eliminate confusion. 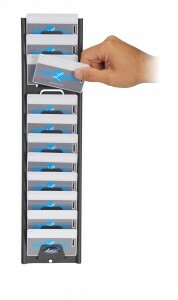 Our racks are durable, expandable and affordable. 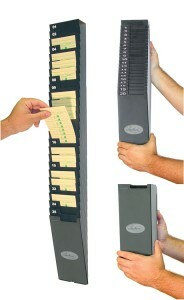 Our expandable time card racks are durable and simply help you keep organized. Lathem’s badge racks help you stay organized and prevent badge loss. They’re durable and can be placed next to your PayClock automated system terminal for efficiency. Many companies use two badge racks with one on each side of the terminal. As employees clock in, they move their badge from the “out” rack to the “in” rack… an effective way for supervisors to determine who is on-site. With so many types of time cards to choose from, please use our Time Card Selector to assist you in your decision making.